This image has been one of the most popular images produced by the team at SSRO. It was chosen twice as the APOD (Astronomy Picture of the Day) for February 21, 2006, and for April 6, 2008. The image was also chosen as the cover art for the SETI Explorer magazine for the First Quarter 2006. Finally, the image was the only amatuer image used in National Geographic's Special Space Issue in November 2008. 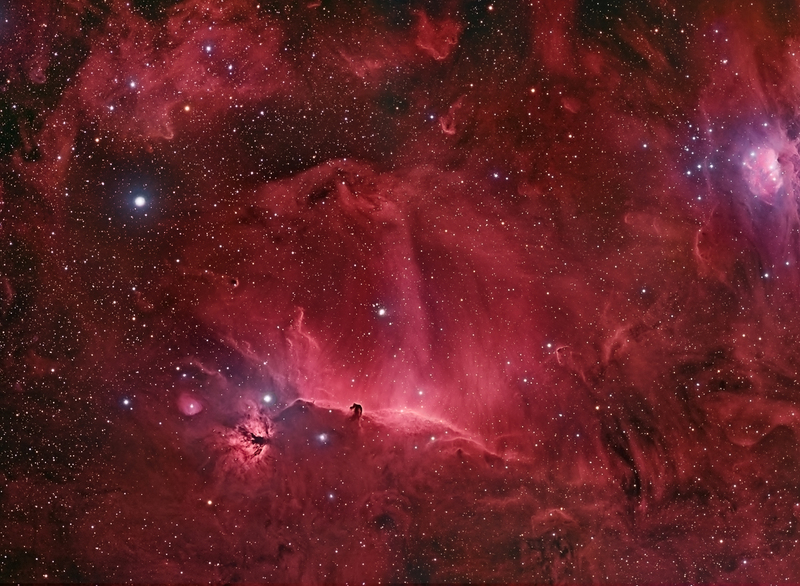 We went to great lengths to frame this image to include the Horsehead, Flame, and Running Man nebulae. To see the Ha version of this image, click here. 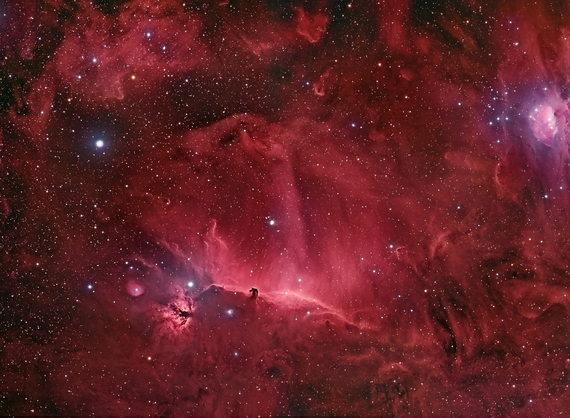 To see a high-resolution image of the Horsehead nebula taken with the 16" telescope, click here.